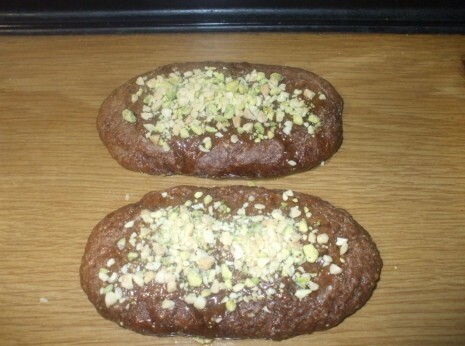 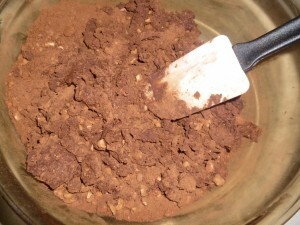 An easy non baking recipe to produce the delicous Baci Perugina. 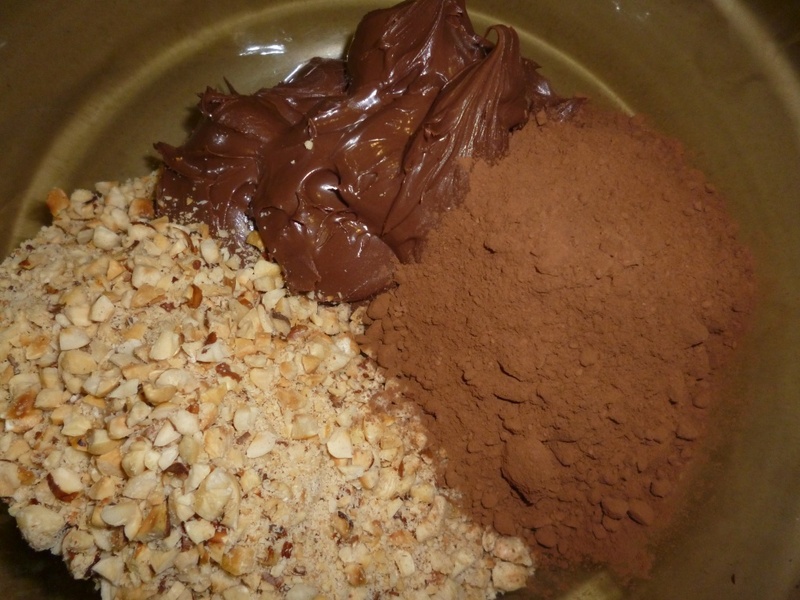 Mouth watering hazelnut and nutella covered by dark chocolate recipe. The Baci Perugina are very common during Christmas and Valentine’s period. 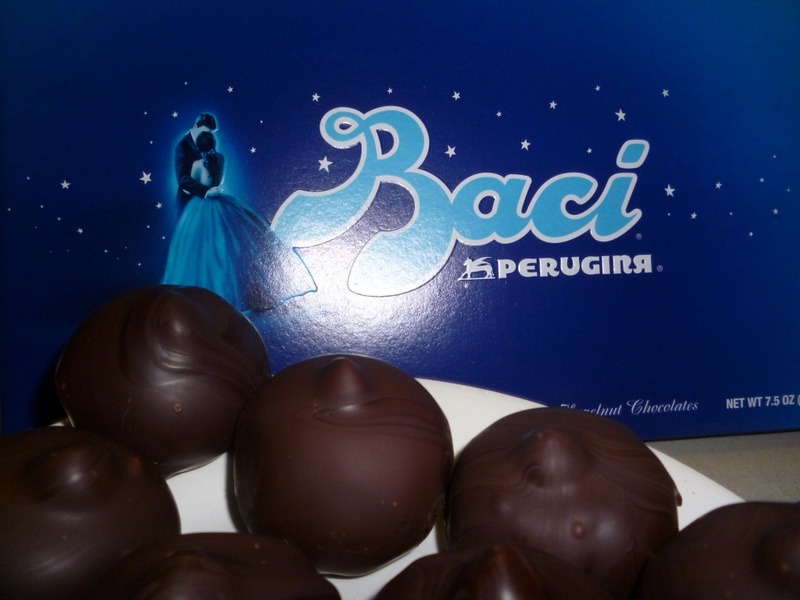 Especially the latter since Baci means a kiss and each chocolate is enclosed by silver wrapping and have a love message wrapped inside it. 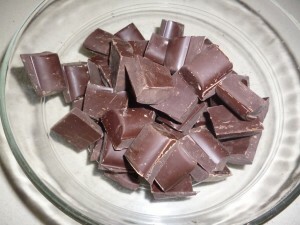 These chocolate sweets were almost my favorite chocolate recipe and I had to find a recipe to be able to make my own personal Baci along with my own personal notes. I found this easy recipe . Set aside 30 whole hazelnuts and chop the rest of the hazelnuts into small pieces the rest of the hazelnuts. 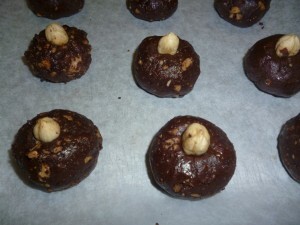 Use roasted hazelnuts because they give more taste the the end result. 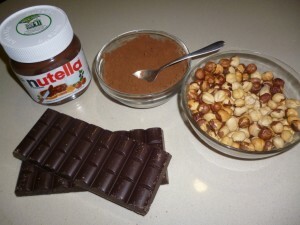 Using a fork mix together the nutella, cocoa powder and the small pieces of hazelnut. Mix well together until the mixture form a smooth paste. 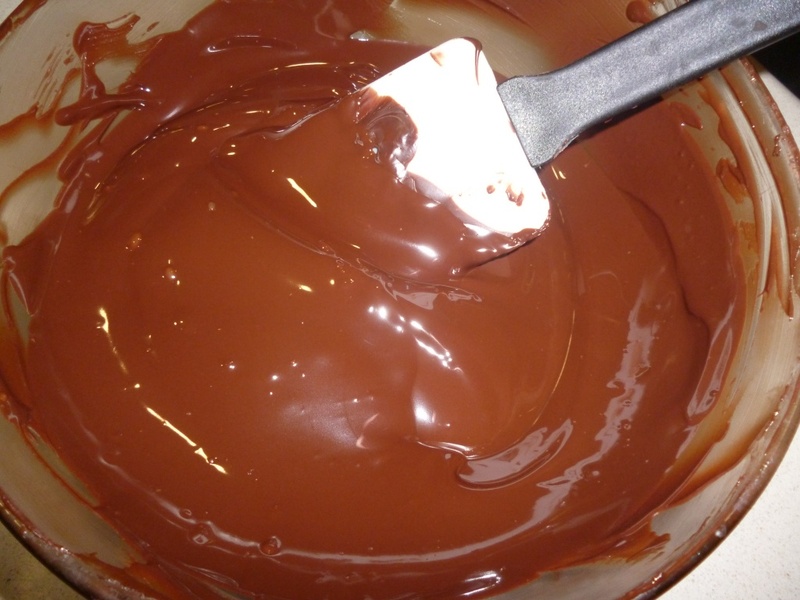 Prepare a baking sheet and cover with wax paper. 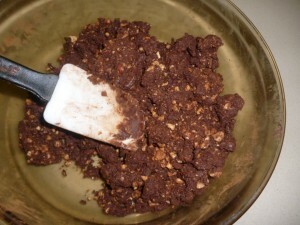 Grab small amounts of the paste and roll them between you palm tops to produce small bite size balls. 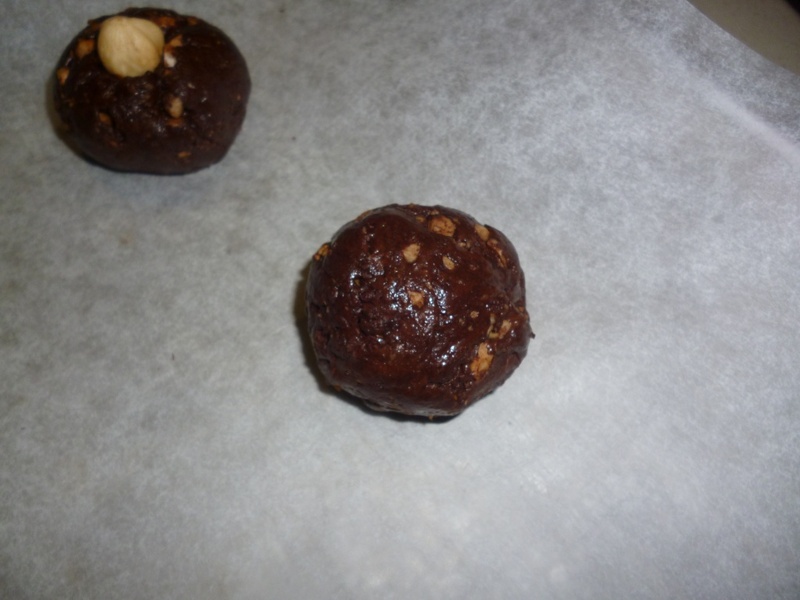 Place the balls on the wax paper next to each other The mixture should allow you to form up to 30 small balls. Place a whole hazelnut at the center on the top of each ball. Place the baking sheet in the freezer for about 30 minutes to let the hazelnut nutella balls to firm. In the meantime cut the dark chocolate into small chunks and temper the chocolate. Dip the chilled hazelnut nutella balls in the melted dark chocolate. 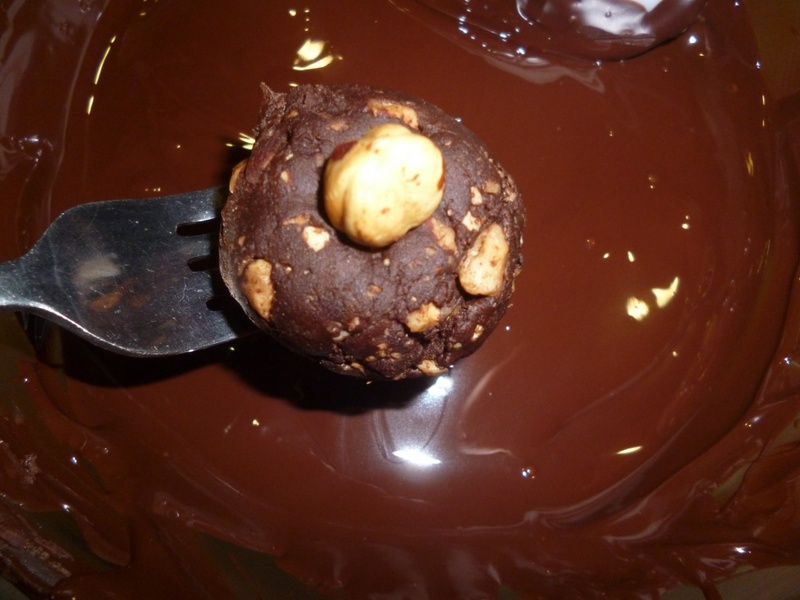 Use a fork to lift the “baci’ from the chocolate, tap the fork with the baci to the side of the chocolate ball to remove any access chocolate. 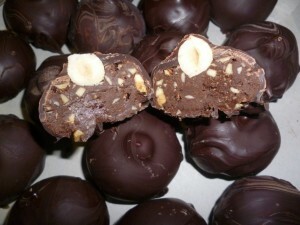 Place the chocolate covered baci on a grid and set aside until they dry up. Store in a cool place. You can add you personal message to the baci cakes to give to your loved ones. 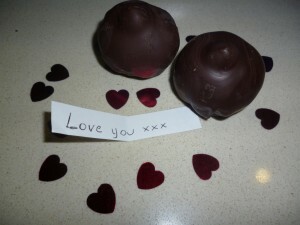 These are sooo simple to do and were soooo good! 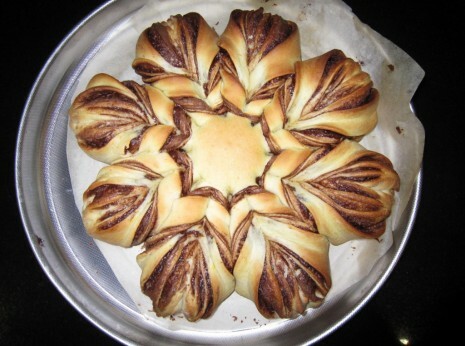 Rose shaped apple pastry with a touch of cinnamon. 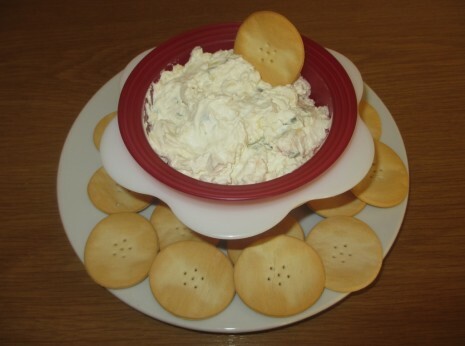 This is a very simple recipe which tastes delicious and looks beautiful. 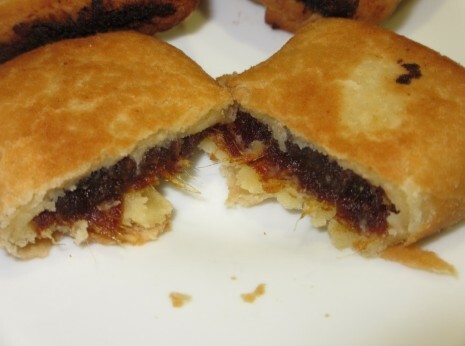 Anisette flavored pastry drizzled with honey and sugar, very easy and fun to prepare traditional Maltese recipe prepared during Carnival period.